Some 80 pct of global wastewater goes untreated, causing health and other societal problems. That leaves untouched 1 trln gallons of sludge that could be harnessed for energy, fertilizers and reusable water. With a potential fivefold return, investors need not hold their noses. 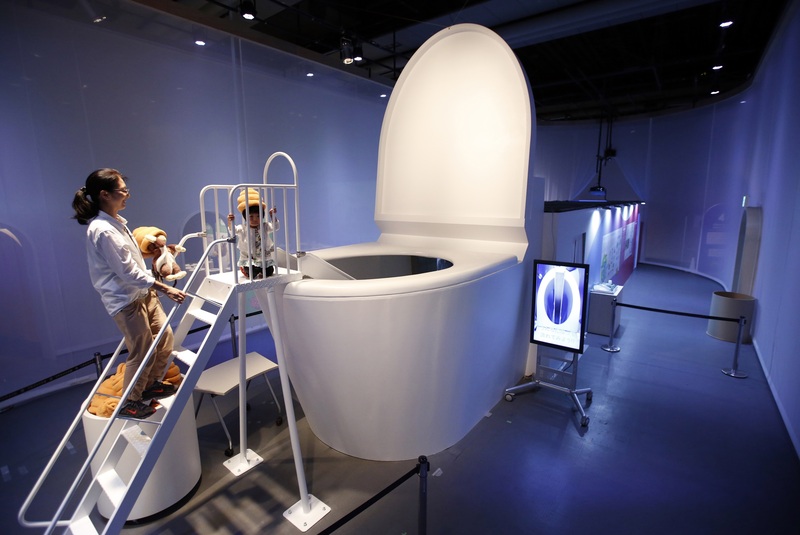 A girl wearing a faeces-shaped hat prepares to slide down into a five-metre (16.4-ft) toilet at an exhibition titled "Toilet !? Human Waste and Earth's Future" at the Miraikan National Museum of Emerging Science and Innovation in Tokyo July 3, 2014. World Toilet Day, an annual event designated by the U.N. General Assembly, was on Nov. 19.